Manuscript submitted December 22, 2009; resubmitted December 27, 2009; accepted December 27, 2009. The diverse actions of the incretin hormone glucagon-like peptide (GLP)-1 include insulinotropic, beta-cell preservative, cardioprotective and vasodilatory effects. This spectrum makes GLP-1 an appealing therapeutic option for patients with type 2 diabetes. However, its rapid metabolism by the enzyme dipeptidyl peptidase (DPP)-4 renders it impractical. Incretin-based analogues have been developed to extend endogenous GLP-1 action (GLP-1 receptor agonists) and to hamper its degradation (DPP-4 inhibitors). Evidence suggests that GLP-1 receptor agonists and DPP-4 inhibitors have different pharmacodynamic and pharmacokinetic effects. For example, GLP-1 receptor agonists deliver supraphysiologic levels of GLP-1 analogues designed to resist inactivation by DPP-4, whereas DPP-4 inhibition conserves native GLP-1 resulting in concentrations within the physiologic range. Furthermore, GLP-1 receptor agonists induce glucose-dependent insulin secretion, beta-cell protection, and other extraglycemic benefits such as weight loss and improvement in markers of cardiovascular risk. In contrast, DPP-4 inhibitors are weight neutral and have modest effects on glucose control. DPP-4 inhibition is dependent on the availability of endogenous GLP-1, which appears to be adversely affected by type 2 diabetes and its progression. Therefore, DPP-4 inhibitors may be better suited for patients with mild hyperglycemia without comorbidities. This review examines the present understanding of the pancreatic effects of endogenous GLP-1, and the extrapancreatic actions it exerts on human bodily systems. Also, it analyzes available preclinical and clinical data on incretin therapies with respect to glycemia, lipids, blood pressure, and weight. Glucagon-like peptide (GLP)-1 was first characterized as an incretin hormone. In the years after its discovery, diverse actions of GLP-1 were described. These include: 1. insulinotropic effects [1, 2], 2. neogenesis, differentiation, and preservation of pancreatic β-cells [3-7], and 3. cardioprotective and vasodilatory properties. The discrete mechanisms governing the latter two effects have not yet been fully clarified . Despite early encouraging results with intravenous infusion [9-11], native GLP-1 was determined to be an impractical therapeutic tool, due to its rapid extensive metabolism by dipeptidyl peptidase 4 (DPP-4) [12, 13]. Consequently, attempts to adapt GLP-1 to therapeutic advantages in the treatment of type 2 diabetes resulted in the development of GLP-1 analogues that protract endogenous GLP-1 action. Also, DPP-4 inhibitors have been developed to impede the enzymatic inactivation of the incretin hormone. Current evidence suggests that GLP-1 receptor agonists and DPP-4 inhibitors have differential pharmacodynamic and pharmacokinetic effects. GLP-1 receptor agonists deliver supraphysiologic levels of GLP-1 analogues designed to resist DPP-4 degradation. Whereas, DPP-4 inhibition conserves native GLP-1, resulting in concentrations within the physiologic range . DPP-4 inhibitors are associated with weight neutrality and modest effects on glucose control (HbA1c reductions of 0.6% to 0.8%) . DPP-4 inhibition is dependent on islet function, which is adversely affected by type 2 diabetes and its progression . Therefore, DPP-4 inhibitors may be better suited for patients with early type 2 diabetes without comorbidities . DPP-4 inhibition is nonspecific; thus, it may compromise the function of additional peptide substrates such as GLP-2, glucose-dependent insulinotropic polypeptide, peptide YY, neuropeptide Y, growth hormone-releasing hormone, as well as various paracrine chemokines and immune system substrates [17, 18]. GLP-1 receptor agonist therapy supplements native GLP-1 with pharmacologic doses of GLP-1 analogues. The analogues are fully capable of binding to the GLP-1 receptor and inducing glucose-dependent insulin secretion. They also provide β-cell protection and other extraglycemic benefits, such as weight loss and improvements in markers of cardiovascular (CV) risk [1, 4, 7, 12, 19-21]. GLP-1 receptor agonists are designed to retain the β-cell-potentiating and -preserving properties of the incretin hormones, while incorporating resistance to inactivation by DPP-4 . DPP-4 inhibitors have less robust antiglycemic and extraglycemic effects than GLP-1 receptor agonists. This may be explained by different GLP-1 plasma concentrations. Furthermore, DPP-4 inhibitors may convey humoral and neuroendocrine effects of GLP-1 by inhibiting GLP-1 degradation in various tissues. Another explanation may involve the potential bioactivity of GLP-1 (9-36), a rapidly produced metabolite of GLP-1. In animal models, GLP-1 (9-36) appears to have cardioprotective benefits independent of the GLP-1 receptor . It may be that agents of the incretin class are associated with substantial differences in circulating levels of GLP-1 (9-36) . Whether inhibition of DPP-4 has beneficial consequences independent of its antidiabetic effects remains to be demonstrated . GLP-1 receptor agonists improve glycemic control by increasing glucose-stimulated insulin secretion and suppressing glucagon secretion . GLP-1 receptor agonists are associated with robust effects on glucose control (HbA1c reductions of 0.4% to 1.5%) as well as weight loss (~-3 kg) and other beneficial extraglycemic effects [25-33]. The insulinotropic effects of these agents have been amply demonstrated in large, placebo-controlled, clinical trials. GLP-1 receptor agonists promote weight loss by inhibiting gastric secretion and motility [34-36], which delays carbohydrate absorption and contributes to satiety by delaying gastric emptying [37, 38]. GLP-1 receptor agonists increase β-cell mass in rodents [39-43] and inhibit β-cell apoptosis in vitro and in vivo [44, 45]. While direct effects on β-cell mass cannot be quantified in humans, the results of these preclinical studies suggest potential protective effects on β-cell volume and morphology. Clinical evidence of effects on contractility, blood pressure, cardiac output, and cardioprotection in animals and humans, has also been reported [23, 46-50]. Ample preclinical and clinical evidence substantiates the need for a multifactorial risk-reduction strategy to address hyperglycemia and comorbidities in type 2 diabetes. Type 2 diabetes is highly correlated with dyslipidemia, hypertension, and a spectrum of cardiovascular and metabolic derangements. Adiposity increases the risk of type 2 diabetes [51, 52], and is often accompanied by a distinct pattern of plasma lipid abnormalities. Elevated triglyceride-rich lipoprotein levels, low high-density lipoprotein cholesterol (HDL-C) levels, and structural alterations of low-density lipoprotein cholesterol (LDL-C) cause a predominance of dense, highly proatherogenic particles . The dramatic increase in mortality in type 2 diabetes associated with cardiovascular disease (CVD) and comorbid adiposity underscores an urgent need to address these risk factors in type 2 diabetes [54-56]. The benefits of weight reduction in type 2 diabetes are evident. They include improved insulin sensitivity, restored β-cell sensitivity, enhanced β-cell capacity [57-59], a less atherogenic lipid profile , and reduced systolic blood pressure (SBP, -5 mmHg to -20 mmHg) . 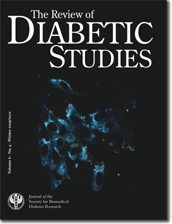 Weight reduction of as little as 5% to 7% from baseline has been shown to reduce the risk of developing diabetes mellitus by >50% in patients with impaired glucose tolerance . The present review examines what is known about the pancreatic effects of endogenous GLP-1 and the extrapancreatic actions it exerts on the central nervous, gastrointestinal, and CV system (Figure 1) . It concludes with an analysis of the available preclinical and clinical data on incretin therapeutics with respect to glycemia, lipids, blood pressure, and weight. Figure 1. Glucagon-like peptide-1: pancreatic and extrapancreatic actions. The various organs or organ systems affected by GLP-1 actions are depicted in the figure. In the pancreas, GLP-1 action causes short term effects that result in increased glucose-dependent insulin- and somatostatin secretion, increased insulin synthesis, and inhibition of glucagon secretion. Long-term effects of GLP-1 action on the pancreas include increased expression of genes that modify beta-cell function and survival in a beneficial way by inhibiting beta-cell apoptosis and stimulating beta-cell replication. In the stomach and intestine, GLP-1 slows motility resulting in delayed gastric emptying and a retardation of intestinal motility. In the CNS, GLP-1 is an important neurotransmitter for regulating appetite and eating behavior. GLP-1 promotes satiety and leads to reduced food intake. Additional long-term effects of GLP-1 on the CNS comprise an improvement of learning and memory, as well as a stimulation of neuronal cell survival and replication. In liver, adipose tissue and muscle, GLP-1 action causes increased glycogen synthesis and liogenesis. These effects are mainly mediated by the increase in insulin secretion and suppression of glucagon secretion mediated by GLP-1. In the heart GLP-1 improves left ventricular function and has preventive effects on ischemic damage of the heart muscle. Reproduced from Best Pract Res Clin Endocrinol Metab, Vol 18, Baggio LL, Drucker DJ, Clinical endocrinology. Glucagon-like peptide-1 and glucagon-like peptide-2, 531-554, 2004, with permission from Elsevier . GLP-1 is a potent gut hormone that stimulates insulin secretion and inhibits glucagon release in a glucose-dependent manner. Therefore, it reduces postprandial glycemia without causing hypoglycemia. GLP-1 is present in two circulating molecular forms, glycine-extended GLP-1 (7-37) and GLP-1 (7-36) amide . Following secretion by enteroendocrine L-cells located primarily in the distal ileum and colon, GLP-1 (7-36) amide is rapidly degraded and inactivated by DPP-4 to its metabolite GLP-1 (9-36) [64, 65]. The half-life of intact circulating GLP-1 is less than 2 minutes in vivo . Unlike other insulin secretagogues, GLP-1 promotes insulin gene transcription and messenger-RNA (mRNA) biosynthesis. Therefore, it has the capacity to restore depleted β-cell insulin . Studies in rodents and isolated human islets have shown that GLP-1 has insulinotropic effects on pancreatic islet β-cells by enhancing differentiation and proliferation and reducing apoptosis [3, 7, 67]. The peptide sequences of GLP-1 in rodents and humans, have been found to be identical, suggesting that those effects may occur in vivo in both species . In clinical studies, exogenous administration of GLP-1 has normalized β-cell responsiveness to glucose and restored both first- and second-phase insulin responses in patients with type 2 diabetes, regardless of disease severity [11, 69]. The inhibitory effects of GLP-1 on the pancreatic islet α-cell may occur indirectly through GLP-1-mediated stimulation of insulin secretion  or via direct interaction with GLP-1 receptors on α-cells . GLP-1 reduces α-cell insulin resistance in type 2 diabetes [72-74], thereby it helps inhibiting postprandial glucagon secretion [26, 75-77]. Additionally, GLP-1 is able to inhibit glucagon secretion from α-cells indirectly by stimulating somatostatin secretion from δ-cells. Somatostatin then binds to somatostatin receptor 2 on α-cells, leading to a decrease in glucagon secretion . Thus, GLP-1 elicits multiple actions resulting in glucose homeostasis and appropriate islet cell activity. However, the precise mechanisms of GLP-1 action (e.g. insulinotropic effects on pancreatic islets) independent of the insulin to glucagon ratio is not yet fully known. GLP-1 exerts its actions through the engagement of structurally distinct G-protein-coupled receptors. These receptors are present in islet α-cells and β-cells and in regions of the central nervous system (CNS) that regulate diverse homeostatic functions, including gastric motility and glucoregulation [79-81]. Consistent with the distribution of GLP-1-receptor expression, GLP-1 inhibits glucagon secretion and gastric empting, and may reduce caloric intake [82, 83]. In the presence of food, GLP-1 may mediate gut-brain signaling from the gastrointestinal tract to GLP-1 receptors in the hypothalamus and brainstem. This constitutes a feeding control via neural and endocrine mechanisms . The coordinated actions of GLP-1 in feeding and glucose homeostasis are evident at multiple sites. GLP-1 is a key regulator of appetite, food intake, body weight, and gut motility. It has been shown to inhibit food intake and promote satiety in normal, obese, or diabetic individuals [36-38, 85, 86]. In vivo studies suggest that GLP-1 exerts effects on fuel sensing; it was able to reduce food intake in Göttingen minipigs , and craving in rats , for simple carbohydrates and/or fat. Manganese-enhanced magnetic resonance imaging in fasted mice following exogenous-administered GLP-1 supports the observation that the anorexigenic effects of GLP-1 may be mediated via "nausea" circuits within the hypothalamus and brainstem . Collectively, the evidence indicates that the inhibitory effects of GLP-1 on gastric emptying and acid secretion involve vagus nerve stimulation and activation of GLP-1 receptors located in the CNS, and/or on the vagal afferent fibers that relay sensory information to the brainstem . GLP-1 may also regulate bone metabolism, possibly through a calcitonin-dependent pathway . A study evaluated bone resorption in GLP-1 receptor knockout mice compared with wild-type mice. The investigators found higher urine levels of the bone resorption marker deoxypyridinoline and reduced thyroid levels of calcitonin mRNA transcripts in the knockout mice, but no evidence of a direct effect of GLP-1 on osteoclasts or osteoblasts . However, treatment with calcitonin effectively suppressed urinary concentrations of deoxypyridinoline in the knockout mice. The GLP-1 receptor agonist exendin-4 increased calcitonin gene expression in the thyroid of wild-type mice. These findings are preliminary and need confirmation and replication through in vivo studies. GLP-1 receptors are widely expressed in CV, adipose, hepatic, and renal tissue [80, 81]. High-affinity GLP-1 receptors are present in autonomic nuclei that control CV functions [91, 92], and have been isolated in rodent and human cardiomyocytes, endothelial cells, and vascular smooth muscle cells [23, 93]. Although the specific localization and functional relevance of those receptors has not been completely defined, it is noteworthy that mice lacking functional GLP-1 receptors have structural and functional cardiac abnormalities. These include diastolic dysfunction, alterations in resting heart rate, heart wall thickness, and abnormalities in the ratio of heart weight to body weight . Stimulation of central GLP-1 systems has been associated with activation of autonomic regulatory neurons and increased heart rate and blood pressure [91, 92, 95]. In a recent study, GLP-1-receptor activation improved survival after myocardial infarction (MI) in the normal and diabetic mouse heart. This finding suggests that GLP-1-receptor activation is accompanied by effects on the modulation of mediators important for cardiomyocyte survival, including peroxisome proliferator-activated receptors (PPAR)-β/δ, heme oxygenase (HO)-1, Akt, and glycogen synthase kinase (GSK)-3β . GLP-1 receptor agonists appear to have CV effects independent of the autonomic nervous system, and even independent of known GLP-1 receptor-linked pathways . Preclinical evidence suggests a novel two-pathway schema for the CV actions of GLP-1. One pathway depends on the GLP-1 receptor for glucose uptake, ischemic preconditioning, and mild vasodilatory actions. Another appears to involve GLP-1 receptor-independent effects on postischemic recovery of cardiac function and vasodilation [23, 48]. Recent studies suggest a role for GLP-1 as a cardioactive peptide, with demonstrable effects on contractility, cardiac output, arterial blood flow, and cardioprotection [23, 46, 48-50, 98]. At supraphysiologic concentrations, GLP-1 behaves as a molecular signal, linking CV and metabolic functions in vivo. Treatment with GLP-1 at supraphysiologic concentrations resulted in increased femoral arterial blood flow correlated with whole-body insulin-stimulated glucose utilization. In a murine model, a strong correlation was observed between glucose utilization and blood flow rates. This correlation was not observed in experimental conditions where brain GLP-1 signaling was abolished in GLP-1-receptor knockout mice, and even more selectively, in mice whose brains were directly infused with a GLP-1 receptor antagonist . GLP-1 has demonstrated an inotropic effect in dogs with heart failure [49, 100], and exerts salutary cardioprotective effects in patients with acute MI when administered as a 72-hour infusion following angioplasty . Clinical studies, involving patients with type 2 diabetes and comorbid coronary artery disease, have shown that GLP-1 infusion improved endothelial function , and blood pressure and cardiac function in the immediate postoperative state after bypass surgery . Recent in vitro studies indicate that GLP-1 attenuates tumor necrosis factor alpha (TNF-α)-induced expression of plasminogen activator inhibitor 1 (PAI-1) in vascular endothelial cells, suggesting a possible mechanism for observed ameliorative effects on endothelial dysfunction . Of salient interest, studies have shown cardioprotective and vasodilatory actions of GLP-1 independent of the proposed GLP-1-receptor pathway . The beneficial effects of GLP-1 on CV parameters may also occur indirectly through GLP-1-mediated improvements in fatty free acid levels and glucose disposal. GLP-1 has been shown to stimulate lypolysis in rat  and human  adipocytes. In a small study of 20 patients with type 2 diabetes, a continuous 6-week infusion of GLP-1 produced reductions in fasting and 8-hour mean concentrations of free fatty acids . There is preliminary evidence that GLP-1 suppresses endogenous glucose production under fasting conditions independently of its action on islet hormone secretion . GLP-1 may also help to regulate glucose homeostasis via influencing islet cell hormone secretion and modulating gastric emptying. Also, it may have an impact on hepatic glucose production via stimulation of GLP-1 receptor in the arcuate . D'Alessio et al. have postulated that GLP-1 facilitates enhanced glucose disposal in peripheral tissues independently of its effects on islet hormone secretions (insulin and glucagon) . However, other studies have failed to demonstrate a GLP-1-mediated, insulin-independent effect on glucose disposal [107, 108]. Intravenous infusion of GLP-1 revealed renal-protective properties, including enhanced sodium excretion and reduction in hyperfiltration associated with kidney damage . The antihypertensive effects of GLP-1 observed in salt-sensitive Dahl S rats, coupled with reductions in renal and cardiac end organ damage, has been attributed to the GLP-1-dependent increase in salt and water excretion . Recognition of the sustained insulinotropic and glucagon-lowering activity of GLP-1 has fostered interest in the use of GLP-1 receptor agonists for the treatment of patients with type 2 diabetes. GLP-1-based therapy could be especially valuable in patients with comorbid overweight/obesity and/or CVD. Observations elucidating a role for GLP-1 in the potentiation of glucose-dependent insulin secretion have been followed by clinical trials. They confirm the efficacy of GLP-1 receptor agonists in controlling the glycemic disorders associated with type 2 diabetes. Similarly, in vivo and small proof-of-concept studies confirming the extrapancreatic actions of endogenous GLP-1 have provided the rationale for investigations of the extrapancreatic effects of GLP-1-based therapeutics. Exenatide (synthetic exendin-4) was originally identified during research for biologically active peptides in Gila monster venom . The drug has a 53% homology to human GLP-1  and a half-life of 2.4 hours. It must be injected within 60 minutes of morning and evening meals . In addition to potentiating effects on glucose-dependent insulin secretion, exenatide appears to have beneficial effects on indices of β-cell function [113, 114]. However, these benefits have not been sustained after discontinuation of the therapy . In three double-blind, placebo-controlled trials, patients with type 2 diabetes receiving exenatide added to conventional oral antidiabetics (metformin, sulfonylurea) experienced a mean weight loss ranging from 0.9 kg to 2.8 kg at 30 weeks coupled with reductions from baseline HbA1c of 0.40% (5 μg bid) to 0.86% (10 μg bid) [31-33]. In an open-label extension of a 30-week trial (n = 283), exenatide produced mean body weight reductions of 4.7 kg at week 104 (p < 0.001) ; HbA1c of ≤7% was achieved in approximately 50% of patients. In a subgroup of these patients, from whom homeostasis model assessment of β-cell function data were collected (n = 112), significant improvement (p < 0.01) was observed from baseline. Biomarkers of hepatic injury, alanine aminotransferase (ALT) and aspartate aminotransferase (AST), progressively and significantly declined (p < 0.05 for both ALT and AST) from baseline to week 104. β-cell function was also measured in a 1-year trial, in which exenatide was compared with insulin glargine, in type 2 diabetes patients inadequately controlled on metformin. Exenatide-treated patients demonstrated significantly increased first- and second-phase insulin secretion (as measured by C-peptide secretion response to arginine during hyperglycemic clamp) compared with insulin glargine (p < 0.0001) . With respect to cardioprotective effects independent of weight loss, exenatide improved cardiac function and reduced infarct size in a porcine model of ischemia . In vivo results showed infarct-limiting action against ischemia-reperfusion injury in rat heart . In clinical studies, exenatide is associated with modest improvements in lipid parameters across a range of changes in HbA1c values, including increased HDL-C concentrations (+4.6 mg/dl, +0.12 mmol/l), and reductions in triglycerides (-38.6 mg/dl, -0.44 mmol/l) and LDL-C (-1.6 mg/dl, -0.04 mmol/l). Improvement in lipid profiles occurred even in the absence of clinically significant weight loss . Blood pressure parameters were modestly improved, as indicated by reductions in SBP (-1.3 mmHg) and diastolic blood pressure (DBP; -2.7 mmHg). In the 82-week extension study, the largest reductions in weight relative to baseline were associated with the greatest baseline-to-end point improvements in SBP (-3.9 mmHg) and DBP (-4.4 mmHg) . Reductions in CV risk factors were also observed in a post hoc analysis of patients who underwent exenatide therapy for at least 3 years in open-label extensions of 30-week, double-blind, randomized trials. These patients experienced a progressive weight loss from baseline (a mean of -5.3 kg at 3 years, p < 0.0001). Reductions in HbA1c observed at 12 weeks were sustained for up to 3 years (mean reduction, 1.0%). A subgroup of patients treated with exenatide for 3.5 years experienced reductions in triglycerides (12%, p = 0.0003), total cholesterol (5%, p = 0.0007), and LDL-C (6%, p < 0.0001), and an increase in HDL-C (24%, p < 0.0001) . As reported at the 2009 Annual Meeting of the European Association for the Study of Diabetes, a study of 56 type 2 diabetes patients randomized to 3-month treatment with exenatide or insulin glargine, showed exenatide to be significantly better than insulin glargine regarding the improvement of central hemodynamic biomarkers of CV risk (e.g., central pulse pressure and augmentation pressure; p < 0.05 for both measures) . Analysis of blood pressure reductions in the same patient group found that exenatide was associated with a significantly greater reduction in DBP, when tested versus insulin glargine (-4.85 ± 7.3 vs. -0.15 ± 9.7 mmHg for exenatide vs. insulin glargine, p = 0.038). A non-significant trend towards greater SBP reduction with exenatide versus insulin glargine was also reported . A 1-year extension study of a 30-week trial of once-weekly exenatide in type 2 diabetes patients with elevated baseline cardiometabolic values, reported significant reductions from baseline in SBP and DBP as well as LDL-C and triglycerides (p < 0.05 for all cardiometabolic parameters) . Liraglutide is a once-daily GLP-1 receptor agonist with a 97% human homology to the native hormone . The key modification (an acyl side-chain addition and an amino acid substitution at position 34) facilitates albumin binding and self-association. By these modifications, the half-life of liraglutide is prolonged to approximately 13 hours, enabling once-daily administration [125-127]. In the Liraglutide Effect and Action in Diabetes (LEAD) trials (6 randomized, controlled phase 3 trials involving ~4500 subjects), liraglutide was associated with significant reductions in HbA1c, weight, SBP, and plasma lipids. In LEAD-3, a 52-week, double-blind, active-control, parallel-group trial, liraglutide monotherapy reduced HbA1c by 1.6% in patients previously treated with diet and exercise only, representing the drug-naive population . Significant weight reduction relative to insulin glargine (-3.43 kg; p < 0.0001) was seen in LEAD-5, accompanied by a significant reduction in waist circumference (-1.5 cm liraglutide vs. +0.89 cm glargine; p < 0.0001) . Dose-dependent weight reductions of up to 3.2 kg were observed in liraglutide patients in the 24-week, head-to-head trial of liraglutide or exenatide added-on to metformin or sulfonylurea or both (LEAD-6) . Weight loss was statistically similar in both treatment groups but numerically greater in the liraglutide group (-3.2 kg, liraglutide; -2.9 kg, exenatide; p = NS) . Liraglutide also had significantly greater reductions in HbA1c than exenatide (-1.1% vs. -0.8%, p < 0.0001) . Results from a 14-week extension of this trial demonstrated additional benefits in glycemic control (HbA1c -0.3%; p < 0.001), as well as a further reduction in SBP (-3.8 mmHg; p < 0.001), and additional weight loss (-0.9 kg; p < 0.001) in 186 patients who switched from exenatide to liraglutide . Data from four clinical trials of liraglutide in combination with one or two oral therapies (metformin plus sulfonylurea or thiazolidinedione) achieved HbA1c reductions of 1.0% to 1.5% for liraglutide 1.2 mg (all reductions were significant vs. placebo), and 1.0% to 1.5% for 1.8 mg (all reductions were significant vs. placebo). Liraglutide 1.2 and 1.8 mg achieved HbA1c reductions of at least 1.0% regardless of whether it was used in conjunction with metformin, a sulfonylurea, or two oral therapies [27-30]. Additional results from the LEAD studies demonstrated that liraglutide combination therapy (metformin plus sulfonylurea or thiazolidinedione) produced SBP reductions from 4.5 mmHg (vs. insulin with metformin plus sulfonylurea) to 6.7 mmHg (vs. placebo with metformin plus rosiglitazone) [29, 30]. SBP reductions occurred within 2 weeks and after reductions in body weight, suggesting an ameliorative effect on blood pressure independent of weight loss . A meta-analysis of results from all six LEAD trials found significant improvements for liraglutide versus baseline in plasma concentrations of total cholesterol (-5.03 mg/dl, -0.13 mmol/l, p < 0.01), LDL-C (-7.73 mg/dl, -0.20 mmol/l, p < 0.0001), free fatty acids (-0.09 mmol/l, p < 0.0001), and triglycerides (-17.72 mg/dl, -0.20 mmol/l, p < 0.01) . Liraglutide is also associated with action on other markers of CV and metabolic risk. It conferred cardioprotection and survival advantages over metformin after MI in diabetic mice, including reduction of cardiac rupture and improvement of cardiac output. The results suggested that liraglutide treatment modulated cardioprotective genes in the mouse heart, including PPAR-β/δ, HO-1, NF-E2-related factor-2, Akt, and GSK-3β . An in vitro investigation of liraglutide effects on markers of endothelial dysfunction found a significant inhibition of TNF-α or hyperglycemia-mediated induction of PAI-1, intercellular adhesion molecule-1, and vascular cell adhesion molecule-1 in human vascular endothelial cell lines . An exploratory analysis of a 14-week study of 165 patients with type 2 diabetes treated with liraglutide reported PAI-1 reductions of 29%; levels of B-type natriuretic peptide, a marker of left ventricular dysfunction, were reduced by 38% . These results support an earlier 14-week study that found a significant decrease in triglycerides (-22%) in patients with type 2 diabetes receiving liraglutide 1.9 mg; SBP was also reduced by 8 mmHg in these patients . These reductions in CV risk markers were accompanied by reductions in HbA1c from baseline of 1.45% (liraglutide 1.9 mg daily) and 1.40% (liraglutide 1.25 mg daily) versus an increase of 0.29% for placebo (p < 0.0001). The percentage of patients reaching target HbA1c goal of <7% was 46% with 1.90 mg liraglutide, and 48% with liraglutide 1.25 mg versus 5% for placebo. The 1.9-mg dose of liraglutide was associated with a mean weight loss of 3.0 kg at week 14. Recent clinical trial data suggest that liraglutide may significantly reduce deposits of metabolically active visceral fat when compared with glimepiride/metformin combination therapy. A trend towards visceral fat reduction was observed in patients who received combination therapy with liraglutide and metformin (a 13%-17% reduction from baseline) compared with the glimepiride/metformin treatment group . Antiexenatide antibodies have been found in 27% to 49% of patients treated with exenatide [31-33, 134, 135]. Of the 6% who developed high-titer antiexenatide antibodies, approximately half showed an attenuated glycemic response . Likely due to its closer homology to human GLP-1, liraglutide is associated with antiliraglutide antibodies in up to 13% of patients treated [27-30]. Nausea may be frequently observed with exenatide (incidence 3%-51%), although it typically subsides within 8 weeks of therapy initiation [31-33, 136]. Incidence of nausea is less frequent with liraglutide (11%-40%) and tends to abate within 4 weeks [25-30]. A number of cases of acute pancreatitis have been reported in patients with type 2 diabetes treated with exenatide. The exenatide product label cautions vigilance for signs and symptoms of acute pancreatitis . A claims-based safety surveillance system report assessing the risk of acute pancreatitis with either exenatide or sitagliptin found no risk differential between the two therapies . Currently available clinical trial data indicate that the incidence rate among subjects using liraglutide or a comparable product is in line with what one would expect in any type 2 diabetes population [25-30]. It is important to note that patients with type 2 diabetes have a three-times higher risk of developing pancreatitis than the general population . To date, the number of pancreatitis cases is not sufficiently high to determine whether there is an association between the development of acute pancreatitis and liraglutide treatment [139, 140]. In preclinical rodent studies, liraglutide induced calcitonin-producing cell (c-cell) hyperplasia, c-cell adenoma, and, at the highest doses, c-cell carcinoma. Similar findings did not occur in nonhuman primates at an exposure of 60-fold that of the human dose of 1.8 mg. The cumulative data suggest that rodent c-cells are sensitive to activation by GLP-1 agonists, but human and nonhuman primate c-cells not [139, 140]. In recent years, research into type 2 diabetes has generated a wealth of discoveries concerning the pleiotropic effects of GLP-1. The research initiatives revealed an activity profile beyond the stimulation of insulin secretion. The profile includes actions potentiating the secretory activity, proliferation and preservation of the β-cell, as well as cardioprotective actions. GLP-1 appears to have broader biological action on the pancreas and on extrapancreatic tissues than previously expected. Indeed, the results of recent preliminary investigations suggest that the cardioprotective effects of GLP-1 may manifest via two distinct pathways. One dependent on the GLP-1 receptor for glucose uptake, mild vasodilatory effects, and ischemic preconditioning. Another is accompanied by actions on postischemic recovery of vasodilation and cardiac function independent of the GLP-1 receptor . Limited data exist on the question whether GLP-1 receptor agonists affect strong end points such as CVD morbidity and mortality. However, it is evident that GLP-1 receptor agonists may have other CV, CNS, and gastointestinal consequences than DPP-4 inhibitors. The latter prolongs the activity of native GLP-1, but secretion and bioactivity is progressively impaired in type 2 diabetes. The pleiotropic effects of GLP-1 receptor agonists may benefit patients with type 2 diabetes with hypertension, dyslipidemia, and other risk factors for CV disease, such as overweight/obesity. Further studies in GLP-1 receptor agonists assessing surrogate parameters, and strong end point studies, are warranted to support promising but preliminary emerging evidence to date. Disclosures (conflict of interests statement): The author is member of advisory boards for AstraZeneca, Bristol-Myers Squibb, Boehringer Ingelheim, Eli Lilly, Novartis, Novo Nordisk, Merck, Roche, and Takeda, and has also received honoraria from these companies for giving lectures. Acknowledgments: The author thanks Rob McCarthy, PhD, of AdelphiEden Health Communications for providing medical writing and editorial support funded by Novo Nordisk.